These ranged from having a business disaster continuity plan to state-of-the-art cybersecurity measures, Spencer indicated. 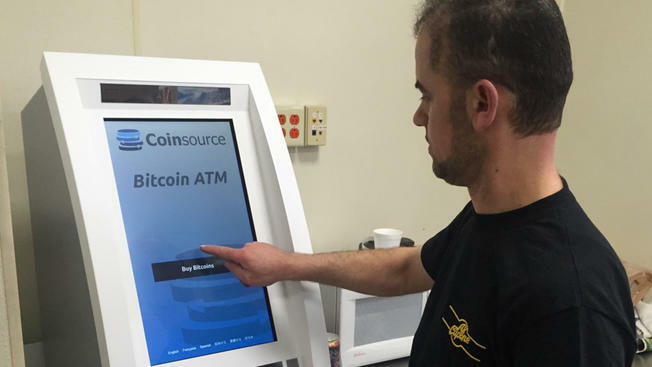 During the evaluation period, Coinsource grew from being an unaudited firm with three employees and a handful of BTMs to being fully audited and growing to more than 20 employees and over 200 machines. “We’ve had 500 percent growth over three consecutive years in terms of machines, and we’ve had comparable growth in revenue until spring of 2018, when it slowed down substantially,” he said. The machines’ speed comes from a proprietary system that Coinsource developed to conduct know-your-customer checks. Where a customer would have to send a crypto exchange bank details and other proof of identification, Coinsource only needs a driver’s license, a selfie and a cellphone number. Coinsource also makes it easier for unbanked individuals to access cryptocurrencies, Spencer said, as they do not need to possess a bank account to purchase bitcoin and can pay with cash. At present, Coinsource customers can only buy or sell bitcoin through the BTMs – they can’t actually send funds to other wallets yet. Spencer explained that this is by design, as allowing that would be facilitating money transmission, so “you have to have a money transmission license in both jurisdictions – where you’re starting the transaction and where you’re ending the transaction. However, the company currently has money transmission licenses in 18 states, with pending licenses in another 15. Spencer anticipates that by sometime next year, Coinsource will have be licensed in all 50 states. “At that point in time, we’d be in a position to have people deposit cash into machines and transfer bitcoin into a third-party wallet, provided both customers were registered,” he said. Outside of the U.S., Coinsource plans to expand operations potentially to Japan, South Africa and Puerto Rico. Of these, Puerto Rico is likely to happen first, with the company already having a money transmitting license for the territory. “We have had preliminary discussions with regulators in Japan to use that as a springboard for Asia, and we’ve had initial conversations with bankers and regulators in South Africa, but that’s probably the furthest out in terms of development,” Spencer said. Further, being incorporated in Argentina, Coinsource already has a base for Latin and South American expansion. The addition of cryptocurrencies other than bitcoin across all the firm’s machines is also on the cards in the “near future,” but “that’s contingent, of course, on regulatory approval,” he said.